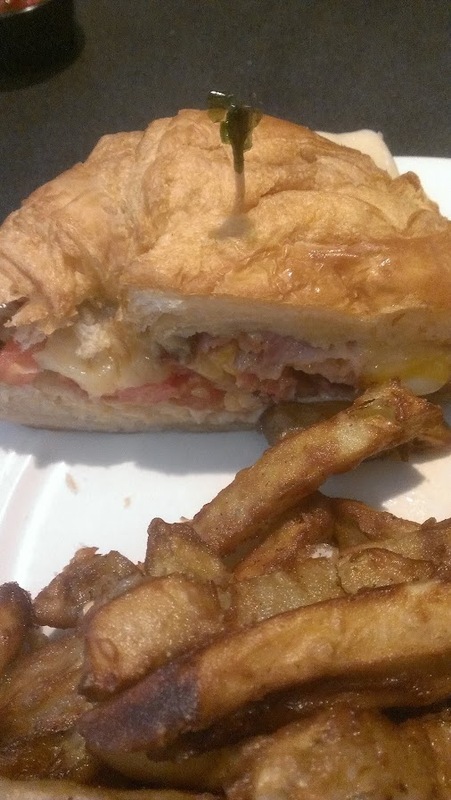 Do you have a sandwich place that you dream about? For me, that place is Lonni’s. I worked in downtown St. Pete in the late 90s for about one hot minute. The company I worked for would always order from Lonni’s…and it was fantastic. Then I decided to embrace my teaching career…here enlies the problem. Lonni’s is open from Monday-Friday from 9-3:30; exactly the hours that I am firmly entrenched in the schoolhouse! Over the years I have tried to visit Lonni’s in the summer; for different reasons they were closed or I was too late. I gave up the dream. Fast forward to last January when my boyfriend and I were headed out on a Friday night to The Venue in Clearwater. As we were pulling in I glanced to my right and saw….a Lonni’s! Very close to my house! Sadly it is still only open those teacher hours. Enter….Spring Break!! I ordered the half soup & sandwich (very reasonable at $6.29). I went for the Sunny Bird (turkey, cream cheese, sprouts, mayo, honey french dressing, and SUNFLOWER SEEDS!..all served on the amazing/baked daily Wild Rice Bread) and the Wild Rice Soup (super chunky and flavorful). We came in a little late for lunch, around 2, and most of the tables were a hot mess and the staff had sort of lost their friendly….but it doesn’t matter because the food is outstanding. I can’t wait for summer so I can try the…..every kind of sandwich and salad they have. Update: My go-to sandwich is now the Custom Vegetarian. You can get Swiss, Cheddar, or Cream Cheese (my choice!) and cucumbers, sprouts, onion, lettuce, tomatoes, mayo, and black olives. I top mine with the Honey French dressing, you may opt for the Italian. For a few more pennies, I also throw on some sunflower seeds. So. Good. Another good choice is the Nutty Chicken Salad. 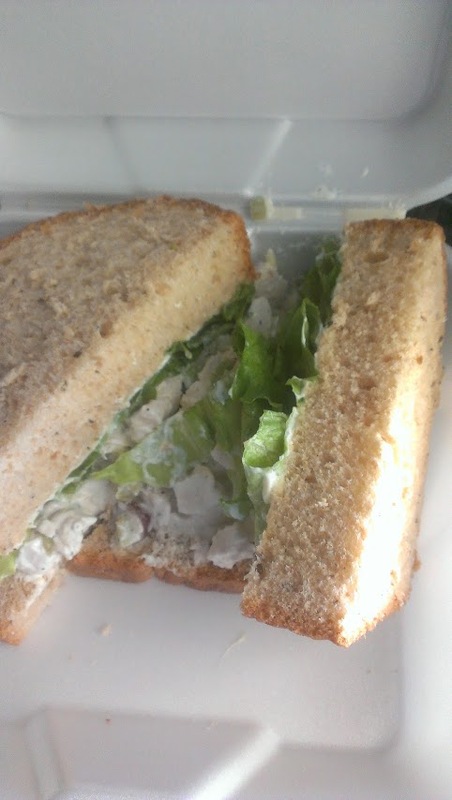 Diced chicken with red grapes, almonds & celery served with lettuce and mayo. 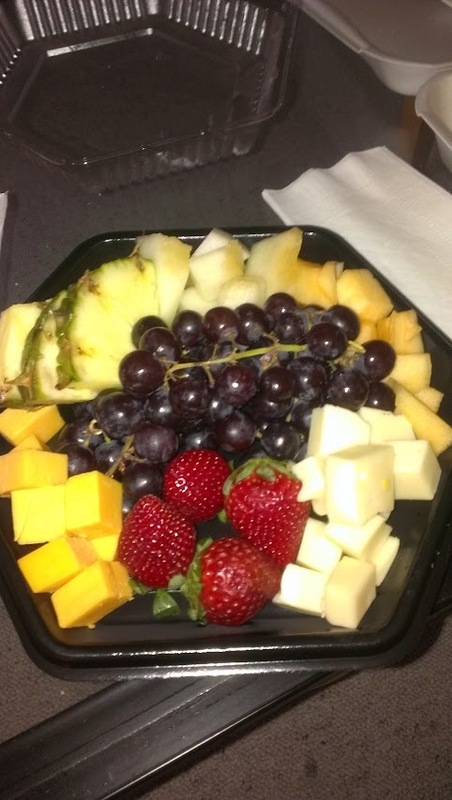 A fresh and beautiful side is the Fresh Fruit and Cheese Plate. That bread looks amazing. I love fresh made bread. 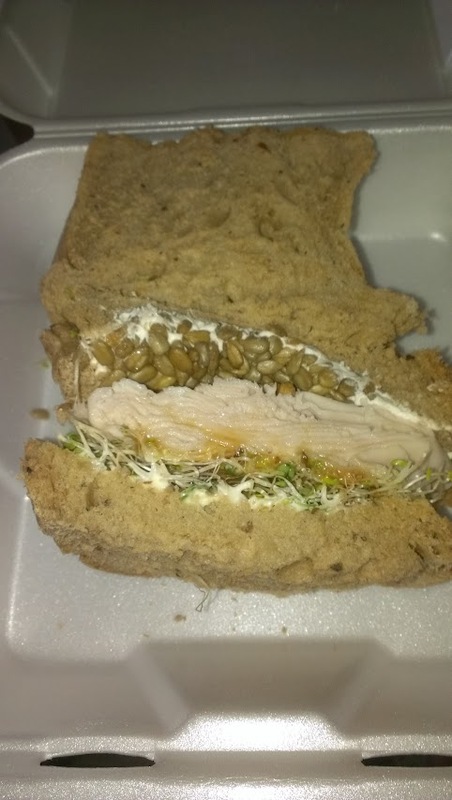 I would never have thought to add sunflower seeds to my sandwich. Great idea. The sunflower seeds really make it special! At home I will sometimes add those or pumpkin seeds to add that crunch. So good.